The Best Plant Concept for Retail award, voted for by visitors ran again this year. With variety of interesting entries the winner of this award in 2018 was Scented Geraniums by W D Smith. Scented Geraniums are age-old garden favourites and have been grown by W.D. Smith & Son for decades. Favoured by the Victorians for their strong fragrances (and let’s face it, the Victorian’s were famed for enjoying all things scented) we wanted to introduce a concept for retailers that would put this perhaps, undistinguishable plant at the forefront of benches, allowing for a greater achievement in sales. Knowing that customers engage with displays where they can interact, we came up with the concept of using the POS to encourage customers to touch and smell the plants. The concept is designed to significantly encourage people to touch and interact with the plants, meaning they are more likely to purchase. The POS is simple, and most importantly, the main strap-line is ‘touch me, smell me’. In keeping with the Victorian concept, we used elegant, vintage perfume bottles as visuals for each scent, not unlike those that may have once adorned a Victorian dressing table, each in different colours to make them visually appealing and to make the plants stand out on the benches in line with their flowering cousins. 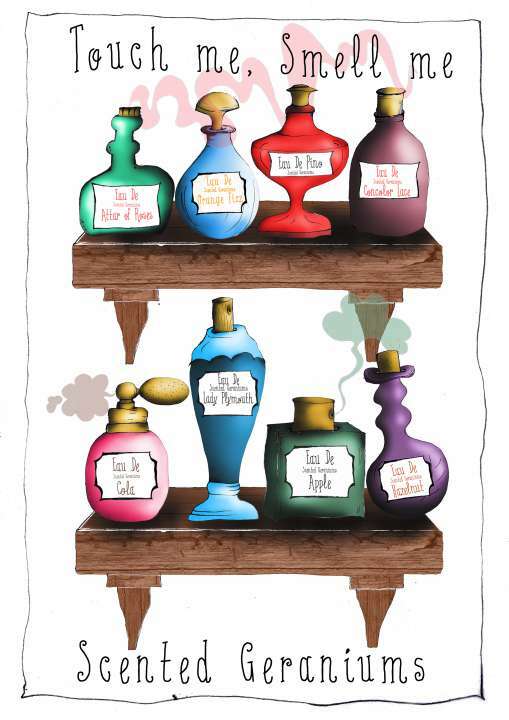 The plant labels are hanging tags which sit above the plant, making them stand out with POS showing the scent bottles adorning a shelf, all with the ‘Touch me, Smell me’ line on them. Sales have been very encouraging across garden centres with evidence showing a significant increase in interest and sales of these plants. (We also ran a Facebook post which received very high engagement around these plants, using this concept), showing that given the right knowledge, consumers have a strong appetite for scented plants. The bottles and POS were designed in-house by our very own sales person Jess Perry and converted into hanging labels and correx point of sale by Hortipak. In what started off as a very difficult trading year, our own sales of these plants have increased by over 80%, with garden centres showing significant increases in sales of these plants.